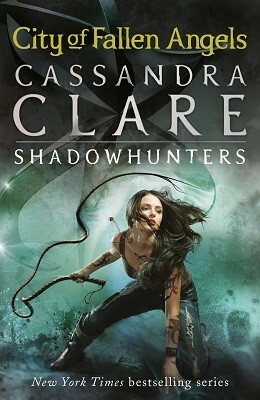 Fourth in Cassandra Clare's internationally bestselling Mortal Instruments series about the Shadowhunters. Discover more secrets about the Shadowhunters as they fight to protect the world from demons in the fourth book in the internationally bestselling series. To love is to destroy... The Mortal War is over, and Clary Fray is home in New York, excited about all the possibilities before her. She's training to become a Shadowhunter and - most importantly of all - she can finally call Jace her boyfriend. But her happiness has come at a price... This edition contains a map and a new foreword by Cassandra Clare. Read all the sensational books in The Shadowhunter Chronicles: The Mortal Instruments, The Infernal Devices, Tales from the Shadowhunter Academy, The Bane Chronicles, The Dark Artifices, The Last Hours and The Shadowhunter's Codex.